The landmark trial of Msgr. William Lynn, the first high-ranking American Catholic churchman convicted of a crime in connection with the clergy sexual abuse scandal, will play out again as Pennsylvania Superior Court threw out his July 2012 conviction and ordered a new trial Dec. 22. The three-judge panel said in its 43-page split opinion that original trial Judge Teresa Sarmina erred by admitting evidence of sexual abuse of minors by priests of the Archdiocese of Philadelphia in the years before Msgr. Lynn served as secretary for archdiocesan clergy from 1992 to 2004. In that role he oversaw priests assigned by Cardinal Anthony Bevilacqua to ministry in archdiocesan parishes, schools and institutions. Evidence presented at the three-month trial documented the abuse of minors by some of those priests over the course of many years. Prosecutors presented evidence to argue that Msgr. Lynn endangered the welfare of a boy by failing to supervise his attacker, former priest Edward Avery. Msgr. Lynn convicted after the three-month trial under the state’s child endangerment statute and sentenced to three to six years in prison. The trial court argued there was value in presenting evidence of a history of abuse in the archdiocese and church administrators’ practice of transferring abusive priests to other assignments. The “probative value” of the evidence was intended to shed light on Msgr. Lynn’s mindset as secretary for clergy, and that he continued to follow past practice of recommending abusive priests for new assignments. The Superior Court disagreed in the value of such evidence. “A substantial volume of this evidence concerned the bad acts of priests, and the archdiocese’s response thereto, that predated (Msgr. Lynn’s) tenure as secretary by many years, and in some cases, decades,” the opinion read. The panel argued that the “vast quantity” of evidence prior to 1992 unfairly prejudiced the 12-person jury that convicted Msgr. Lynn on one count of child endangerment under state law. Although his conviction now has been overturned, the 64-year-old priest remains in custody at the state’s Waymart Correctional Facility in northeast Pennsylvania. No new trial date or presiding judge has been indicated, though Msgr. Lynn’s defense attorney Thomas Bergstrom has requested in a legal filing for an alternative to Judge Sarmina, according to a published report. He has also sought to have his client freed on bail. Msgr. Lynn has already served about half of his sentence. Avery admitted to the crime of abusing an altar boy in 1999 on the eve of his trial in 2012 and is currently serving his five-year sentence. Why is Monsignor Lynn not free immediately upon this decision? From the first hearing, this holy and good priest has been railroaded by the grand jury, judges, and gullible juries. Right-thinking Catholics are left with no justice but with unmistakable injustice against their priests, who have been taken from them with no voice left to them. How his suffering has been great, unending. When he is free, may the so-called lay experts, psychologists, not be forced upon him, their claws into his private soul. thank you, Monsignor Lynn, for your heroic priesthood. You are a magnificent credit to the Archdiocese. Msgr. 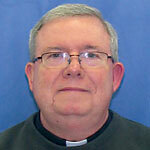 Lynn is guilty of endangering the welfare of the children of the Archdiocese of Philadelphia. I am so tired of his attorneys filing appeal after appeal. Why can’t Lynn just do his time and then get on with life? Heaven knows that the victims of abuse have a very hard time getting on with their lives. I don’t understand this unceasing appeal to overturn the conviction. Is this a case of a double trial for the same crime? (In reality will an outcome be any different than the original trial?) Is this a case that continues to press the issues of sexual abuse by clergy when it finally seems to reach some kind of resolution?